Captain Robert “Woody” Woodson enlisted in the United States Army in the Winter of 2006 and was commissioned as a Second Lieutenant in the Summer of 2007. After becoming Airborne and Ranger qualified, Woody led an Infantry Platoon in combat against the Taliban east of Kandahar in 2009. From 2010-11 Woody returned to combat and received a Bronze Star during the Arab Spring conducting operations near Mosul, Iraq. Woody transferred his commission to the National Guard following his second company command at Schofield Barracks, Hawaii in 2016. He is now a Chaplain Candidate and attends Western Seminary. He is an Associate Pastor at The Pointe Church and serves as the Officer Career Manager for the California Army National Guard. He is the devoted husband of Shauna and proud father of Taylor Lynn (9), Matthew (7), and Noah (4). 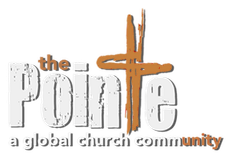 Copyright © 2019 The Pointe Church.